The announcement came in April, with the publication of a cutting-edge biomedical application of a technology named “SLAMseq” in the prestigious journal, Science. 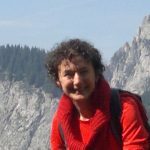 Stefan Ameres of IMBA – Research Institute of Molecular Biotechnology – had laid the groundwork during research on RNA (ribonucleic acid), one of the three major macromolecules essential for all known forms of life. RNA plays a crucial role in cellular processes such as division, differentiation and growth, aging and death – all involving genes being switched on and off. In 2012, Ameres began looking for a better way to study this gene switching, to explain the “why” of gene behavior. Although it was possible to get a static snapshot inside a cell, what he really needed was moving pictures. Ameres found a way to measure and record the regulation of RNA in real time in a living cell. Soon, he was telling Johannes Zuber at the IMP – Institute of Molecular Pathology – a geneticist who explores vulnerabilities in cancer cells. Unlike other institutes, at the Vienna BioCenter “people talk about their results at an early stage,” says Zuber. “There is no secrecy.” He immediately saw the potential of his colleague’s discovery. With SLAMseq, he could administer a drug to a cancerous cell, measure its immediate effects on RNA regulation and decipher the function of important cancer genes and drugs. 1784 Medical breakthroughs, of course, do not sprout out of the blue. It takes generations to build a research system and scientific culture of world standing. Vienna University’s Medical Faculty, today’s MedUni Vienna, is one of the oldest in the world, founded in 1365. It gained new renown in the 18th century as the General Hospital, opened in 1784, and quickly grew into an eminent research center. In the course of the 19th century, both doctors and students successfully fought for academic freedom and the Second Vienna School of Medicine rose to even greater prominence. But Vienna’s medical tradition, culminating in four Nobel Prizes in Physiology or Medicine between 1914 and 1936, was all but wiped out during the Nazi era. Since then, it has taken decades for medical research to crawl out of its grave. Here, the City of Vienna has played a pivotal role, as former mayor Michael Häupl, with a PhD in zoology, named the Life Sciences as a Stärkefeld (Area of Competence) in the 1990s and pumped some €100 million a year into R&D. This has been “incredibly important,” Zuber says, fostering a “scientific environment at least as good as in the US” and, says Ameres, a “critical mass” for life science startups and spinoffs. Today, biomedicine is blossoming in Vienna thanks to Häupl, whom Austrian Academy of Sciences’ director Anton Zeilinger describes as “a great patron and close friend of research.” The R&D sector has grown from 242 firms in 1998, employing 25,000, to 861 firms with 45,000 employees by 2015, and a doubling in annual R&D spending (€1.6 billion to €3.5 billion). Austria seems, at last, to be regaining its place as a world leader in medical research. 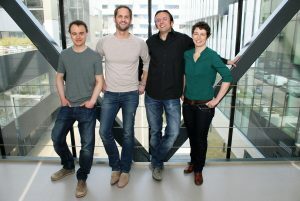 The research team behind SLAMseq, from left to right: Matthias Muhar, Stefan Ameres, Johannes Zuber and Anja Ebert. The Institute of Molecular Pathology (IMP), set up in 1985, has since 1993 received much of its core funding from the international pharmaceutical company Boehringer Ingelheim – currently two-thirds of an annual budget of €35 million. With these resources, it supports 15 research groups with 200 scientists from 40 countries who publish 60 to 90 peerreviewed papers a year. A third of these are among the top 10% most-cited publications in their fields, according to the research analytics tool InCites. The IMP has filed over 90 patents and 6 out of 15 principal investigators are members of the prestigious European Molecular Biology Organization (EMBO). It’s a “science heaven,” says group leader David Keays, and “the Porsche of the medium-sized research institutions in Europe” according to Thomas Jenuwein, IMP alumnus & director at Max Planck Institute of Immunobiology and Epigenetics. Bundling research, business and education in one location, the center – whose scientists hold 70 different passports – has attracted some 1,700 employees, 86 research groups, 18 biotech companies and 1,300 students. This heady mix has grown into a leading international life sciences research hub, whose importance can hardly be exaggerated. Since 2002, it even has its own S-Bahn station: St. Marx-Vienna BioCenter, served by Line 7 (Floridsdorf-Vienna Airport), on the site of the former cattle market and slaughter house. Then in 2006 came the Institute of Molecular Biotechnology (IMBA). Jointly set up by the Austrian Academy of Sciences and Boehringer Ingelheim, and publicly funded, it peers into the secrets of cell life, a role complementary to the IMP’s work on the mechanisms of disease – as exemplified by the synergies in the SLAMseq story. A few lone research institutes will not get as far as a tightly meshed science cluster, and this is something that Vienna understands. In 2010 the Campus Science Support Facilities GmbH (later renamed Vienna BioCenter Core Facilities) was set up to connect all research activities to a support system of costly machinery and other state-of-the art facilities. These are all available to research groups, including students. This, Zuber enthused, was a “brilliant development for the campus.” Within a single institute, any given technology will only be relevant for one lab. On a large campus, equipment is shared, leading to a multiplier effect. After several years of development, putting SLAMseq into practice was compressed from the usual five-ten years to a staggering three, reports Ameres, with the tool then licensed to Lexogen Inc., a biotech company also sited at the Vienna BioCenter. In immediate proximity, Lexogen worked on commercialization while the scientists wrote up their results for publication. By the time their articles were published, a molecular biology laboratory kit was released and is now being marketed around the world. Researchers in the biotech and pharmaceutical industry worldwide are expected to use it to test new substances, particularly cancer drugs. Last April, SLAMseq received the Houska Award of the B&C Foundation, the largest private research award in Austria, given to cutting-edge projects that have a societal and economic relevance. Toward the end of 2016, the IMP moved to gleaming new premises at the Sankt Marx BioCenter, spread over 15,000 m², complete with a 300-seat auditorium and large cafeteria. (My own favorite is the self-service coffee bar, with plush, dark-red upholstered seating that could be mistaken for an upmarket discotheque.) 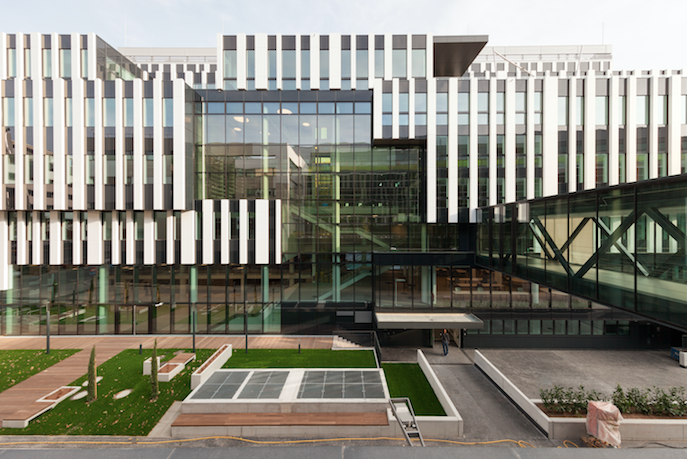 The BioCenter has become a workshop of innovation in the life sciences, where “all are committed to building a lighthouse,” says Zuber, shining knowledge across the world. It doesn’t seem to matter that Austria is a small country: Big thinking and focused investment are indeed turning a slaughterhouse into a lighthouse, guiding the way to new territory in the life sciences. SLAMseq is an innovative sequencing method that allows the direct detection of sudden changes in gene expression, helping scientists to investigate the effects of genes and drugs. Cell division is going on all the time in our bodies, which consist of trillions of cells. Every round of division involves copying of the cell’s DNA. This is fraught with danger, for mistakes are made during duplication. Every day, these result in hundreds of mutations—mostly harmless, some positively valuable, since they make the evolution of our species possible. But some mutations will damage the cell’s programming, activating wrong switches or disabling protective ones. With over 500 cancer-associated genes, keeping track of them all is a daunting task. SLAMseq (thiol (SH)-Linked Alkylation for the Metabolic sequencing of RNA) can spot and measure the activity of genes. It can detect, and even quantify, changes in gene transcription within a cell that may herald cancer, making it possible to decipher the regulatory functions of critical cancer genes. What sets the new method apart is its ability to measure and record the functions of genes in living cells over a period of time. Roxanne Powell is a Franco-British hybrid who moved to Vienna in 2006. She studied history, modern languages, linguistics and literature, before a Ph.D. in political science at the LSE. She was a regular contributor at The Vienna Review. Her interests include journalism, poetry, fiction, music, dance, the Alpine outdoors, science, slow food, the arts, architecture and fashion.